I have to admit, my favorite part is doing the shopping! We are about to gut the teal bathroom. The sub floor is rotted out, black mold in the vanity, the grout is the grossest thing going…. need I go on? Here is a reminder! 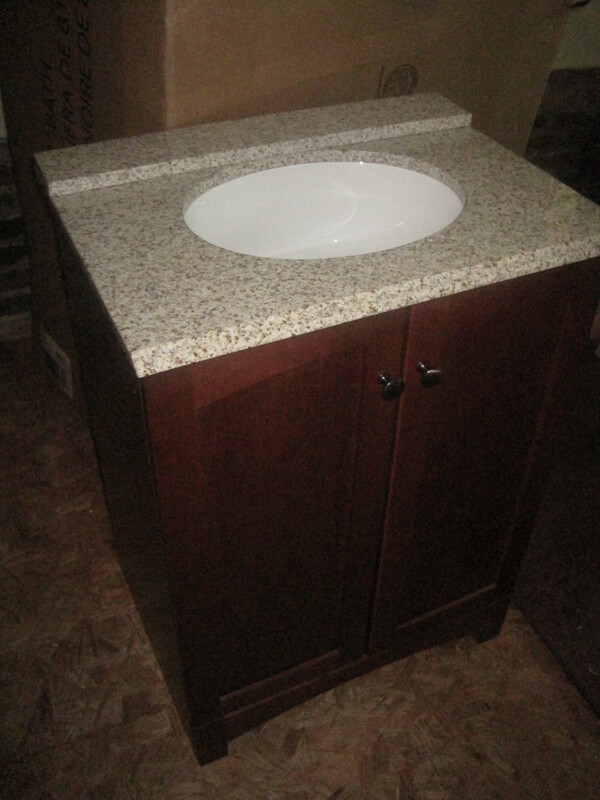 So, I found this awesome new wood vanity with a granite countertop, backsplash, and undermount sink on craigslist and got it for $90. Very excited and probably worth $350. I also got a new toilet off craigslist. It is a Kohler Wellworth 1.6 gal per flush for $60, valued at $190. Lastly, Lowes had our tub! There apparently was a damaged shipment of them. There is a hairline scratch which doesnt hurt the tub at all….. 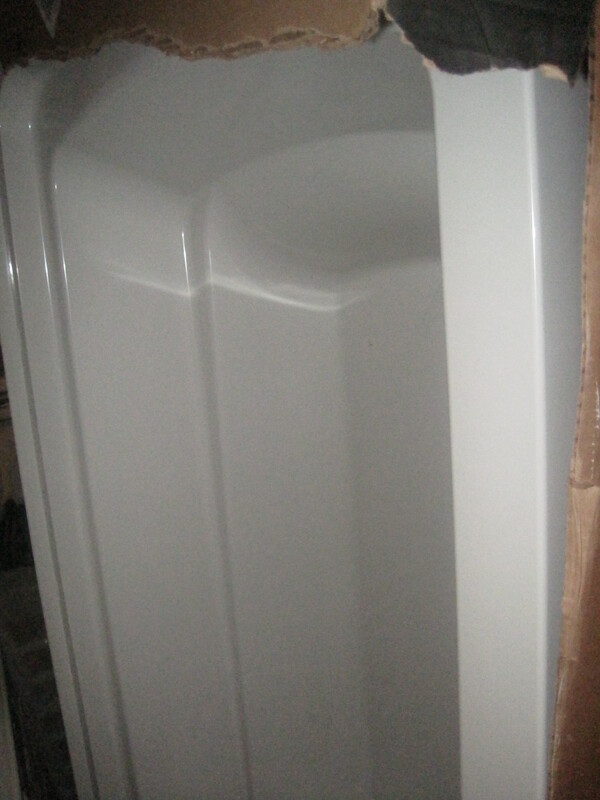 It is a Kohler Ensemble Tub, normally around $350…. and it was marked down to $220. I asked them why they had so many, if they wanted to keep them or sell them, and what their lowest price would be. Hey, I have to negotiate, I’m renovating a whole house here! The nice lady gave it to me for $170, the store’s cost. Sweet! Very excited to get this bathroom project underway! So there is a sneak peak of what is going in there! Wish us luck- cheers to finding a lot more issues when we rip it all out! Good times! What the bathroom would have normally cost, not on sale- $890. What I spent- $320. Booyah! 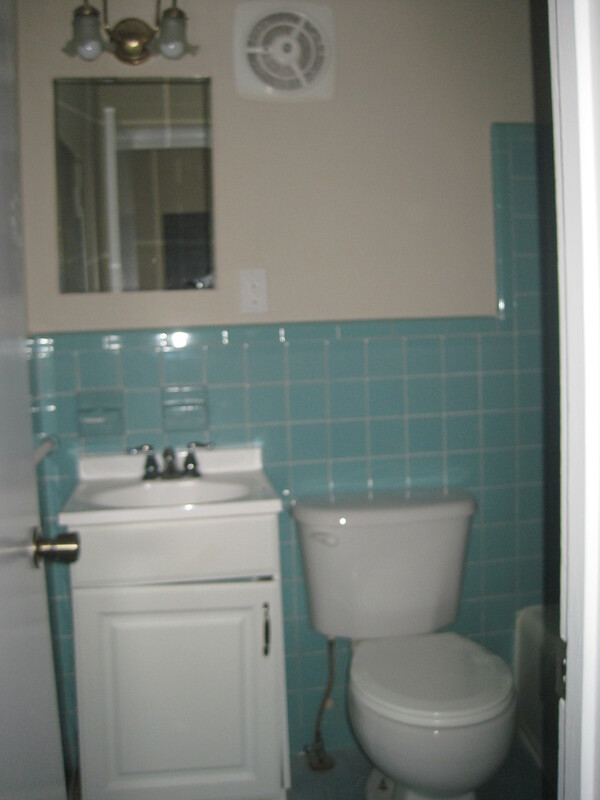 1 Response to Bathroom # 1 Deals! You are awesome! Congrats on the great deals.